Extron’s powerful Entwine™ Lecture Capture software simplifies capturing, managing, and delivering high-quality recordings on demand to any device, anytime, anywhere. Entwine equips users with intuitive dashboards and automated workflows making it easy to quickly schedule recordings, edit content, assign access rights, and publish to the customizable video portal or Learning Management System. Experience the benefits of Extron’s industry-leading reliable lecture capture appliances that work seamlessly with Entwine software for a fully integrated solution to engage and empower today’s digital learners. Lecture Capture. Work Smarter. Achieve More. One-Stop. Fully Integrated. Serving All of Your Room Needs. From enterprise-level management applications to AV room hardware, as well as any last mile in-room AV connectivity needs, Extron has our clients covered as the only true end-to-end provider. Flexible options to create fixed recording schedules or accommodate ad hoc recordings. Set up schedules from the admin dashboard or import schedules from a range of calendar applications that use the popular iCal format. Enable the Extron SMP Series and StudioStation capture solutions to automatically record and publish based on schedules from the administrator dashboard. Enter credentials via a touchpanel to query or pre-populate metadata fields through integration with supported Extron or third-party Pro Series control systems. Access course and recording schedules. Simplify content processing workflows by ingesting industry standard audio/video formats from Extron SMP Series, Extron StudioStation, and legacy content libraries. Create chapter marks automatically in presentation content using Entwine's advanced media analysis. Process files and apply usage rights to existing data files with user-created content. Combine closed captioning content with recordings. Use intuitive web-based, non-destructive editor to trim unnecessary content, allowing faculty and staff to present more polished content. Easily group and categorize recordings through a web-based catalog, with configurable and automated workflows. Increase the breadth and scope of media deployments without increased labor by applying workflow rules to automate content management. Create user permissions or integrate with common authentication systems such as Microsoft Active Directory/LDAP. Keep granular control over individual content and user rights, while maintaining rules-based authentication for all users. Enable your staff to easily and quickly streamline the sharing and delivery of content with others. Fully integrate with Learning Management Systems through the Learning Tools Interoperability-LTI connection. Produce compelling presentations with a data-rich, user-configurable playback suite. Present synchronized content from video and slides, demos, or whiteboard using multi-window capabilities. Contact Extron for a complete list of supported features. Deliver a scalable and standards-based video content management platform that can be customized to integrate with existing infrastructure to leverage overall institutional technology goals and objectives. Teach, communicate, and engage with students by providing flexible academic programs that enrich the learning process. Attract and enable participants to feel more connected, whether in a classroom or online. Save time and resources by utilizing customizable workflows to minimize administrator requirements and day-to-day management tasks so that staff can focus on delivering technology services to students and faculty. 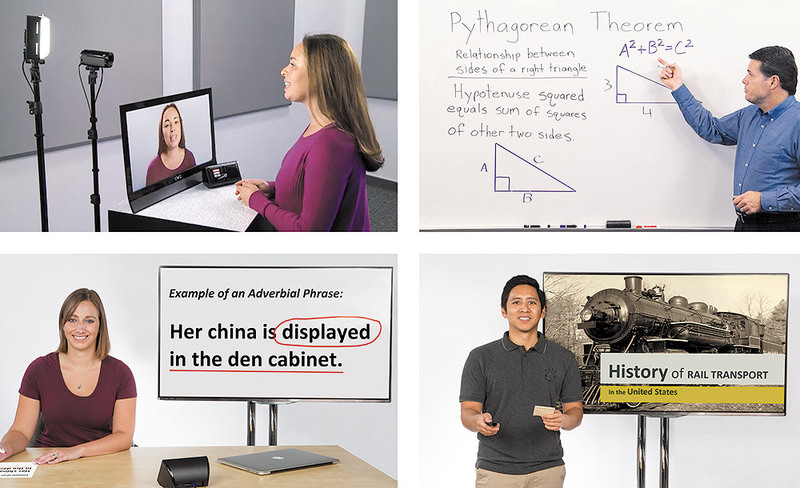 Review course material, learn at your own pace, and take advantage of the power of video results in superior learning outcomes, higher retention of materials, and improved comprehension. Getting content into Entwine. Flexible options for any room size. The Extron SMP Series of Streaming Media Processors offer enhanced capabilities to record and stream day-to-day video and content, suitable for any room on campus - ranging from large lecture halls and classrooms to conference rooms and collaboration spaces. The Extron StudioStation™, with one-touch recording capability, horizontal video mirroring, power control, is ideal for flipped classrooms, lecture capture, live events, product presentations, board meetings, or any other application with convenient, one-button, easy to use recording and streaming. Extron’s 35+ year commitment to audio video excellence extends beyond products. With offices around the globe, we provide highly skilled software and hardware Professional Services staff ready to work with your existing environment to tailor and optimize new technologies to meet your goals and objectives. The Entwine Professional Services team uses a personalized engagement strategy and a broad range of project management, system deployment, and custom system integration services to help you more effectively adopt and adapt the newly deployed technologies for a seamless lecture capture experience. Extron also provides comprehensive support, training, and other benefits through our S3 Education Partnership Program. Enrollees in the program have access to a wide range of tools and services, including technical design assistance, Extron Insider website access, and much more. Deliver an optimally designed system tailored to the needs of your institution. Deploy a tool to port data from the scheduling system into Entwine, eliminating the need to manually create schedules within Entwine. Create a systematic analysis and plan detailing all technological functions to achieve implementation requirements. Manage the creation of user permissions and integration with authentication systems such as Microsoft Active Directory/LDAP. Perform design review, install, testing, system optimization, and training to ensure system performance prior to full operation. Leverage the LTI connector to embed video recordings natively within the LMS so that users can continue to consume content through their preferred interface of choice. Move all content and metadata securely and accurately from third-party systems for a unified experience. Cloud service available. Provide custom tailored training and adoption services to help customers quickly and easily embrace newly deployed technologies. Quality and dependability are common table stakes for any purchase. Every buyer demands, and most all vendors claim to offer a quality, dependable lecture capture solution. But what are the most critical aspects to meet your current and future unified learning needs when there's so many choices? Discover the Top 3 necessary items to consider when making your selection.